KAO=S will appear at the Japanese cultural event Salón del Manga y Cultura Japonesa de Alicante in Spain on April 8th and 9th, 2017, for a live concert performance and Q&A with fans. KAO=S also will judge a karaoke competition during the event. KAO=S vocalist and performer Kaori Kawabuchi is popular with video game fans for her Mo-Cap work in “Nier: Automata”, “FINAL FANTASY” and more. KAO=S will also spend time at Here Comes The Sound Studio in Barcelona, the band’s first time recording music overseas. They will perform “Koujou no Tsuki”, a cover version of a Japanese traditional song. KAO=S will return to Japan for concert in Tokyo on April 15, performing with the futuristic musical instrument “Kagura”. Kagura transforms motion to sound with no physical contact, and it can recognize movements and gestures using a camera. KAO=S members Kaori and Shuji performed at Kagura’s world launch party in March. Shuji Yamagiri: Acostic Guitar / Vocal. KAO=S was formed in Tokyo, in April 2011. 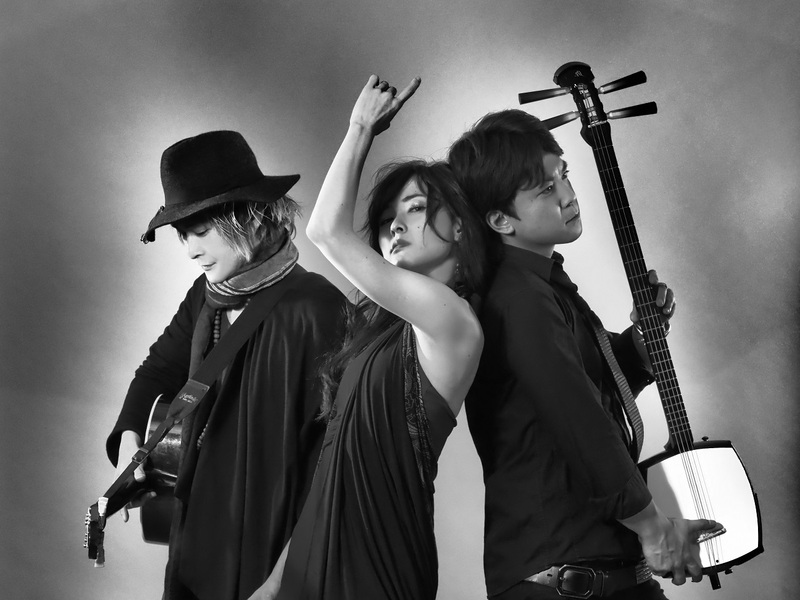 Out of the turmoil that followed the 2011 Tōhoku earthquake and tsunami, the band created a new style of Japanese art to bring to the world, which it termed KAO=S (“chaos”). KAO=S’s sound is a blend of vocals and acoustic guitar, overlaid with traditional Japanese instruments such as the three-string Tsugaru shamisen, using a full range of effects, complemented by Kaori’s spellbindingly powerful sword dance.